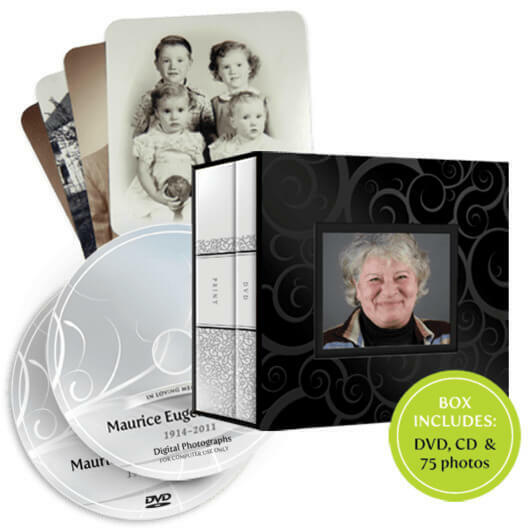 The DVD is an enduring way to remember your loved one. It has a custom-printed jacket and a high-quality waterproof label, designed to last a lifetime. The Bookshelf Box is an elegant way to display the memories of your loved one. 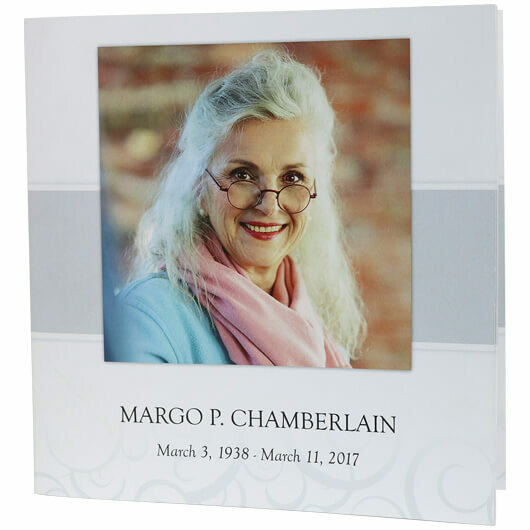 It includes the first 75 photos of the tribute video, a DVD of the memorial video, and a CD containing all of digital photos and video files. The Memory Drive is a beautiful wooden flash drive that is a modern alternative to a DVD. It has a photo of your loved one printed on the front and a magnetic closure. 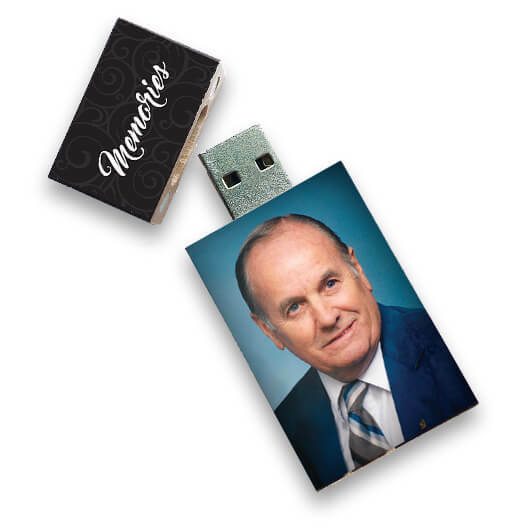 The Memory Drive comes with an HD file of the tribute video and all of the digital photos. 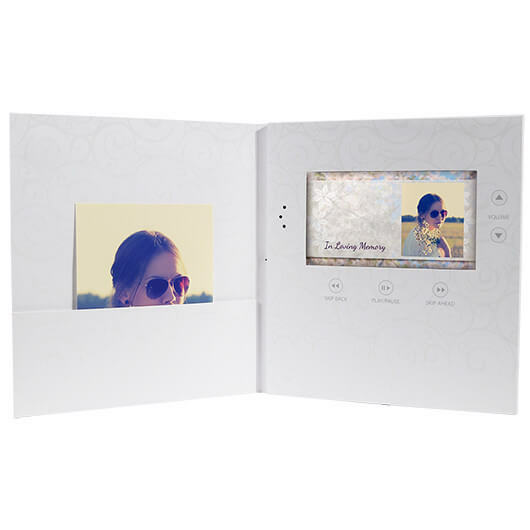 The Video Book is a modern way for your family to share the tribute video of your loved one. When you open up the Video Book, the tribute video automatically starts playing on a crystal-clear 7-inch HD screen. It has touch responsive buttons for volume, play and pause, and skipping forwards and backwards. It also comes with a pocket for you to keep photos, funeral programs, and other keepsakes in. The Video Book battery lasts for two full hours and can be recharged with a mini-USB cable. The Photo Book is the perfect way to keep the memories of your loved ones close. The Photo Book is 8.5 inches square and is printed on durable photo quality paper. It includes the first 100 photos.